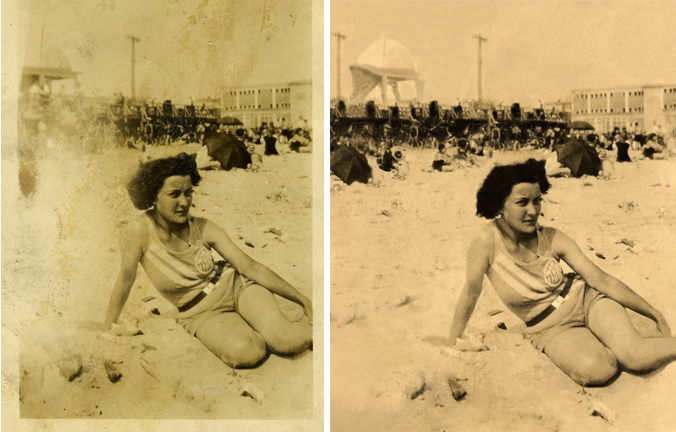 We restore or improve photos for documentary film & video or book projects, and will work within your budget. We can repair tears and stains, or bring faded images back to life. You might want objects eliminated from a photo, or added. 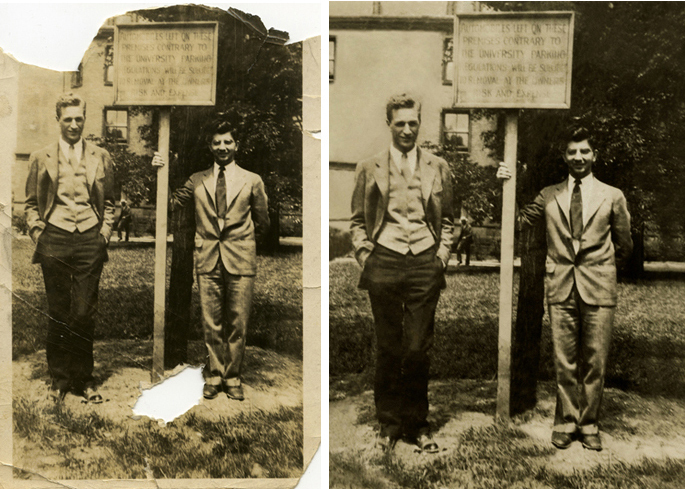 For video safety or wide screen placement, it might be useful to you to extend the original edges of a photo. Please email us to discuss your needs. 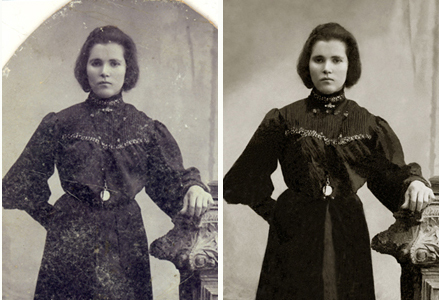 Scroll through selected samples of photo restoration below.